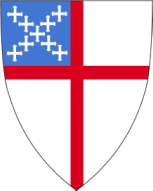 Christ Episcopal Church is a growing, faith-filled Episcopal worship community. Our church was founded in 1744 and we moved into our current building across from the Guilford Green in 1838, so as you can see we have a pretty strong history in Guilford! Our church family includes people of all ages, backgrounds, races, and walks of life... from Guilford, to the surrounding shoreline towns of Branford, Madison, Clinton, and beyond. All are truly welcome. The Reverend Randolph Harrison West is rector of Christ Church. Father West, a native of Oregon, came to Christ Church in 2010 after spending 15 years as the associate rector of St. John’s Church, Norwood Parish in Chevy Chase, Maryland. Fr. West received his BA from Carleton College, Northfield, Minnesota. He did graduate work in architectural history at the University of Oregon, Eugene, Oregon, and received his M.Div. from The University of the South, Sewanee, Tennessee. In addition to his service as associate rector at St. John’s Church, Norwood Parish, Fr. West served as an assisting priest at Grace Memorial Church in Portland, Oregon, and as both assistant rector and interim rector at Grace Church and chaplain of St. Nicholas’ School in Chattanooga, Tennessee. Mark Sullivan is proud to serve as Music Director at Christ Church. Mark studied piano with Andrew Klein of the Pre-College Division at The Julliard School and went on to undergraduate and graduate studies in piano performance, composition, and conducting at the School of Music at Boston University. A Guilford resident for 25 years, Mark appears regularly as a soloist and accompanist, and has served as Music Director of St. Andrew's, Madison, and the United Methodist Church of Clinton, among other positions. He came to Christ Church in the Fall of 2013. Laurie Varley is the Sunday School Director for Christ Church. Laurie and her family moved to Guilford 6 years ago, from NC. Her husband, Steven works at Yale and their daughter, Stevie will be a 5th grader at Baldwin Middle School in the fall. Laurie previously worked at two NC universities in fundraising, Hospice and Palliative Care of Cleveland County, NC as their Community Outreach Coordinator, and is currently employed by the Guilford Public School system as a para professional at Adams Middle School. Laurie previously worked as a youth and children's director at a Baptist church in NC, worked at the NC Baptist Assembly, leading creative worship services and numerous devotions for high school and college aged students and also volunteered as a church school teacher for 5 years at the First Congregational Church of Guilford. Laurie is excited about sharing God's love with the children and families of Christ Church! Graham Marsh, hailing from Minneapolis, Minnesota, is pursuing a Master of Sacred Theology degree at Yale Divinity School to complete his seminary training. He recently became a postulant for priesthood in the Episcopal Church, and is pursuing ordination through the Diocese of New Jersey. After graduating from high school Graham moved to Wyoming to train as an automotive mechanic, and spent his early twenties working at a BMW repair and race shop. During that time, Graham had an enlightening encounter with the writings of St. Augustine which inspired a deep interest in philosophy and the Christian faith (which in hindsight Graham sees as providential). Over the next seven years he completed a BA and MA in philosophy, the latter of which he pursued in England. As it became clear to Graham that his interest lies more in theology than in philosophy, he chose to further his studies at Princeton Theological Seminary and graduated with a Master of Divinity in 2017. In his very little free time, he enjoys watching films, and particularly those with strong religious themes. He welcomes suggestions. Graham is grateful for the opportunity to serve at Christ Episcopal Church in Guilford, and is excited to find out how Christ is working in this historic church. Pat Wakefield is our amazing Parish Administrator. She takes care of everything that is needed to keep our congregation, our building and our community running smoothly! Sheward Haggerty is our amazing Sexton, and he takes care of everything ELSE that is needed to keep our congregation, our building and our community running smoothly!